Gentleman, have you been looking and searching for a new bottle of cologne? a cologne that has a subtle yet chanting scent? If this applies to you then the 4711 Original Eau De Cologne is the perfect choice for you. It’s mesmerising, enchanting scent is one in a million, which is why it is not surprised that 4711 Original Eau De Cologne has been appreciated all across the globe since 1792. This is the perfect choice of cologne to wear on a romantic date. When you greet and say your farewells to your date with a hug, the cologne will playfully linger underneath their noses, leaving them wanting more. When reuniting with friends and families, this cologne will definitely mark your presence in the room, making you the most popular person once people start asking what cologne you have on and what they can get it from. The aromas used in this fragrance is used in aromatherapy, making it necessary for you to add a few drops of this to your bath water so you can experience its soothing properties. Perfect for your father on father’s day or even for yourself. 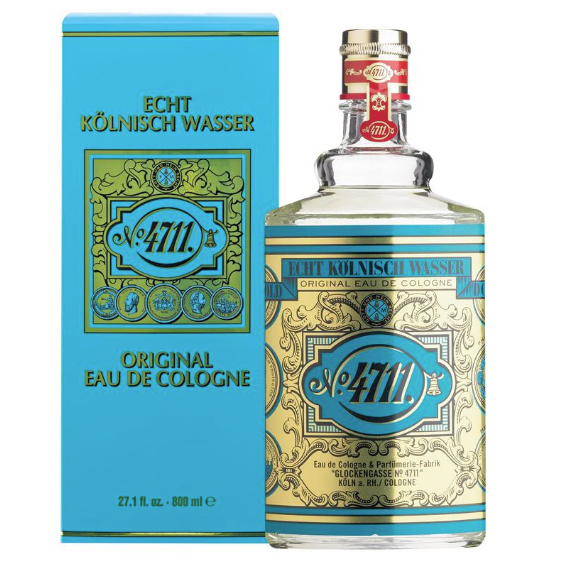 Switch from your old cologne to 4711 Original Eau De Cologne. You won’t be disappointed.